Stay fit, it’s that time of year again. Seems everywhere we look, there is food. From cookies, pies, cakes,turkey, ham and countless sides, it’s no wonder why the average person gains 2-5 pounds during the holiday season. Here’s a few stay fit tips that have been successful with our family and friends. Drink Water– Before you sit down to have a big meal, drink a 12 or 16 oz glass of water. The water will help make you feel a little full and prevent you from overeating. Use Smaller Plates– The average plate in the US ranges from 10 to 12 inches in diameter. Most of us, without really thinking about it, fill up our entire plate and depending on how you were raised, you had to eat everything on your plate. Moving to an 8 or 81/2 inch plate, is a simple way to trick the mind and body to eat less but still feel full and satisfied, without feeling overstuffed and will help keep of the extra pounds. In our family, smaller plates are standard. Watch the Bread– Even if you are use to eating some bread, the holidays bring out a whole new bread adventure. Bread or breading seems to be on or in everything, from stuffing to bread crumbs on top of casseroles. I know from personal experience that bread can certainly add to the waistline. Limiting bread can help you keep of those unwanted pounds. Sleep- During the holiday season our daily lives seem to move into hyper-drive. With family in town, holiday parties and shopping, we are continuously running. Sleep affects our physical and mental health tremendously, and many of us do not get enough. Lack of sleep adversely affects metabolism, mood, concentration, memory, motor skills, stress hormones and even the immune system and cardiovascular health. Sleep allows the body to heal, repair and rejuvenate itself in a way it simply cannot when a person is awake. We know you may have to sacrifice but sleep shouldn’t be one of them. With these simple stay fit tips, our Surgical Alternative family, wish you and yours a Happy and Safe Holiday Season!! 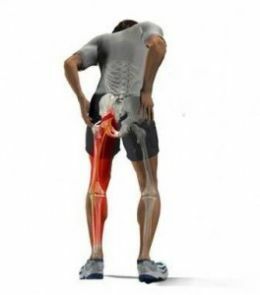 Improper Running- How much pain can it cause? Next post How come Grandma can “FEEL” a storm coming? Maybe the Acute or Chronic Pain!